Please help spread the message about the loss of life at Lava Canyon and in the Muddy River Gorge in hopes of preventing another tragedy. Waterfalls are meant to inspire lives, not take them. Please raise awareness and honor their lives, and yours. Your donations will support a purchase of a new interpretive sign with safety messages and information about the dangers & hazards of Lava Canyon (pdf). 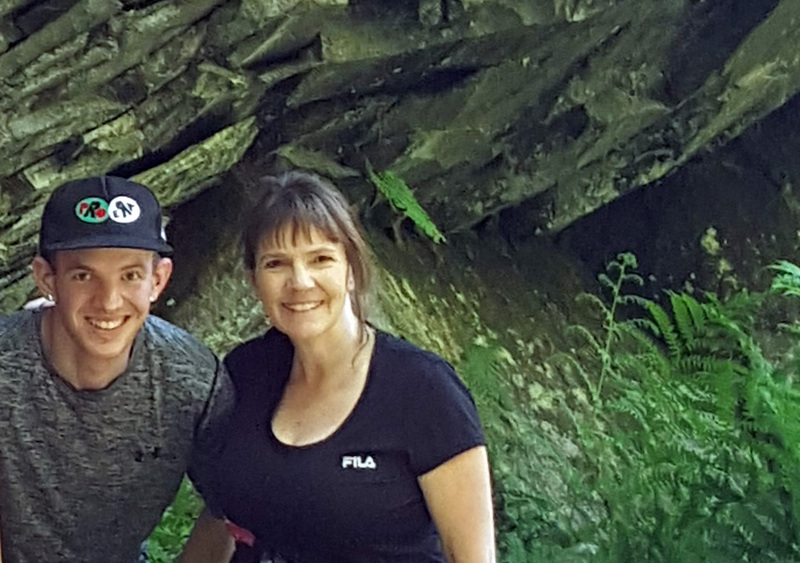 Lisa Carrick, the mother of Ryan Fowler-- a forest visitor in 2016 who perished after going off the Lava Canyon trail and over the Muddy River Gorge Waterfalls -- started this effort to help warn others of the dangers of going off trial in this area. In honor of Ryan Fowler and others who have lost their lives at the site, the Mount St. Helens National Volcanic Monument and Mount St. Helens Institute are working together with Ryan’s mother, Lisa, to develop a new informational sign to help educate the visitors of the history of accidents and fatalities in the area. Your donations to this sign project will support the manufacturing of this sign to support a stay-on-trail message. The Forest Service will design and install the sign once funds have been raised. We hope to help prevent future accidents and deaths in the area by educating our visitors of past accidents at Lava Canyon and the Muddy River Waterfalls. Our goal is to have this sign installed late spring or early summer 2018 once funds have been raised and the snow has melts in the area. Thank you for your donation and support for this project. July 2016 – With my friend, my niece, my 25-year old son, Ryan, we set out on our adventure. We were excited, laughing, and couldn't wait to get to the Mount St. Helens Lava Canyon trail-head and the suspension bridge. It was a beautiful, sunny, summer day. We crossed the suspension bridge we had come to see, and made our way down the trail hanging onto the hand cable to a large area of rock. Taking more pictures, we enjoyed the incredible beauty of nature at the small area where the river rushed down to the top of the waterfall. Ryan was elated with the tranquil sights and sounds of the natural wonders of Lava Canyon. The mountains, forests, river and waterfalls a place of peacefulness. And then – in an instant, my son disappeared forever. Taken by the waterfall. No hug, no good-bye, no warning. We thought that the warning was for others – but, what the trail signs didn't say is that in the blink of an eye, the forever changed lives of 'others' were about to be and are now ours. My son, Ryan, is forever 25. Like the high school student, the pre-teen and his dad, the 5-year old little boy, and his dad, and the avid 'older' hiker, they will never get older, and we will never have new memories with them, or days we don’t think of them walking through the door. To honor those we have lost (video) and the lives of future visitors to Lava Canyon and the Muddy River Gorge, I reached out to the Mount St. Helens National Volcanic Monument who agreed to support this project – to help spread the message about the loss of life at Lava Canyon and in the Muddy River Gorge in hopes of preventing another tragedy. Your donation of any amount will help fund the purchase of a new interpretive sign with safety messages and information. The lives of those we’ve lost still have purpose: saving you and your loved ones. Your help is needed, and you will be updated with the progress and action of your giving.